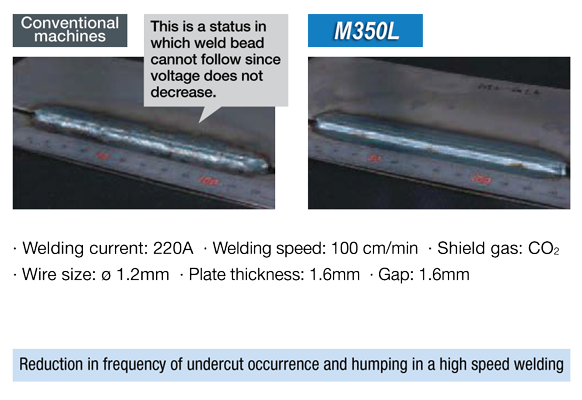 Spatter adhesion can be reduced dot to the small parting forms, reducing man hours for removing spatter. 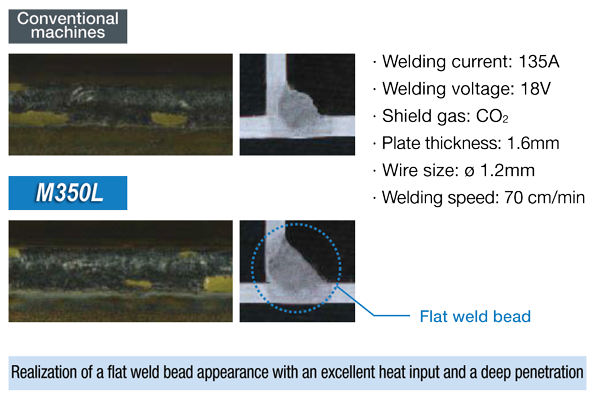 A weld pool becomes moderate by urging short circuit in a fixed cycle, realizing a flat weld bead with a uniform weld bead end. 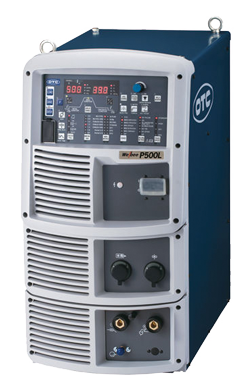 Tolerance of the lower limit voltage is expanded and spatter generation is reduced even in high speed mode, realizing a high quality welding.